Zoë joined StreetSquash in 2017. She graduated from St. Lawrence University in 2017 with a BA in Global Studies. While at St. Lawrence she competed on the varsity squash team and completed independent studies in both Education and Film. From 2012 – 2014, Zoë volunteered in the StreetSquash Summer Discovery Program. 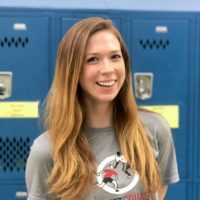 Zoë served as a Squash Coordinator before assuming her current role in 2018.